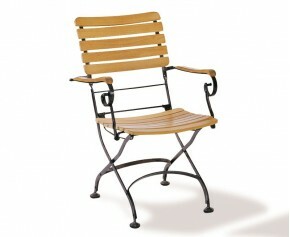 Strong, solid and durable, our teak and metal garden chairs are the perfect choice of garden furniture. Not only are our teak and metal garden chairs made from the finest grade-A teak, they also feature galvanised steel, so you are sure that these chairs will last a lifetime. Able to remain outdoors all year round and withstand any weather condition, our teak and metal garden chairs require minimal maintenance for easy fruitful use. 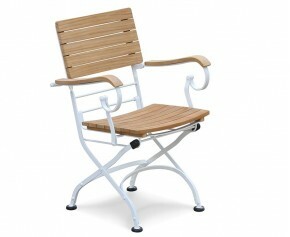 When teamed with our other garden furniture, these chairs will look stunning as a focal point. 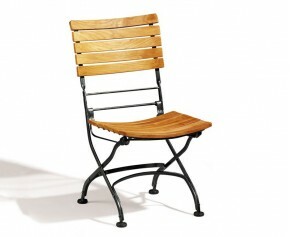 Our teak and metal garden chairs are also classic enough to work as a complimenting piece to existing furniture. 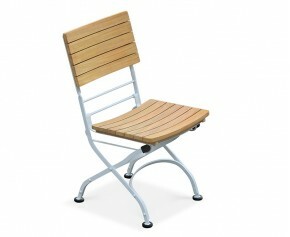 View our range of teak and metal garden chairs below.